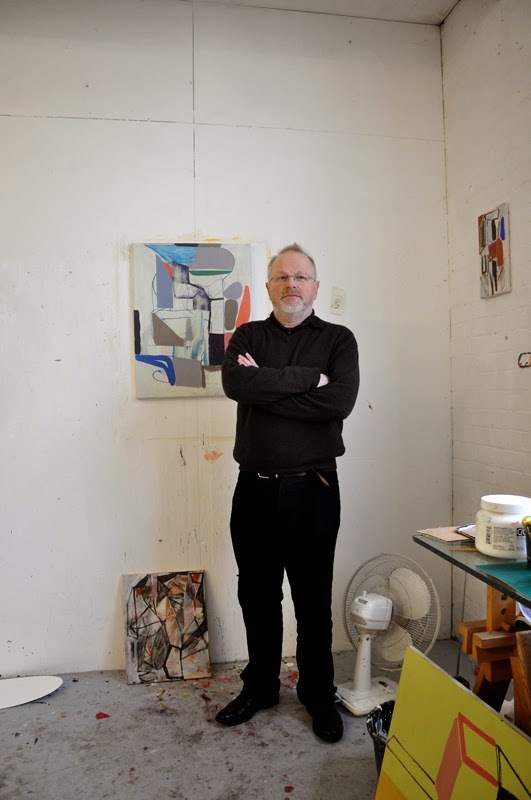 Vincent Hawkins was born in Hertfordshire in 1959. 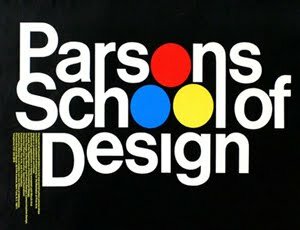 He studied at Maidstone College of Art 1984-87. 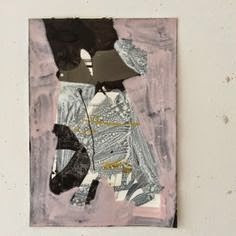 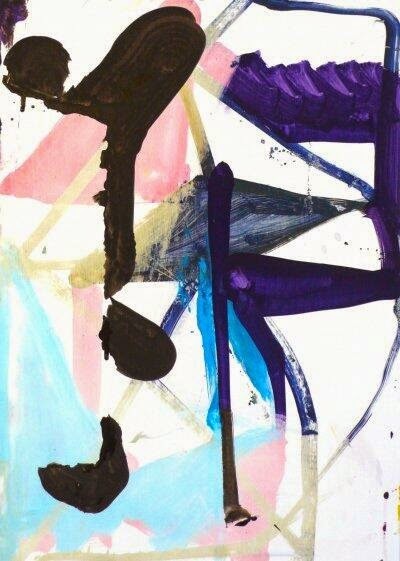 His group shows include Recent Graduates Show (selected from art colleges in the south east) Angela Best Gallery Canterbury 1987, Old Subject New Object Bonington Gallery Nottingham 1990 and an exhibition at Clapham Art Gallery London 1997. 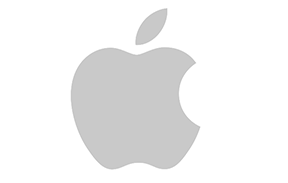 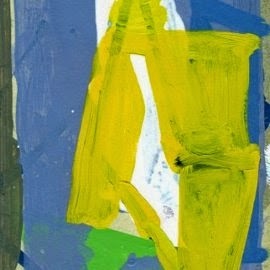 I work in an improvisational way, never knowing from the outset how anything will turn out. 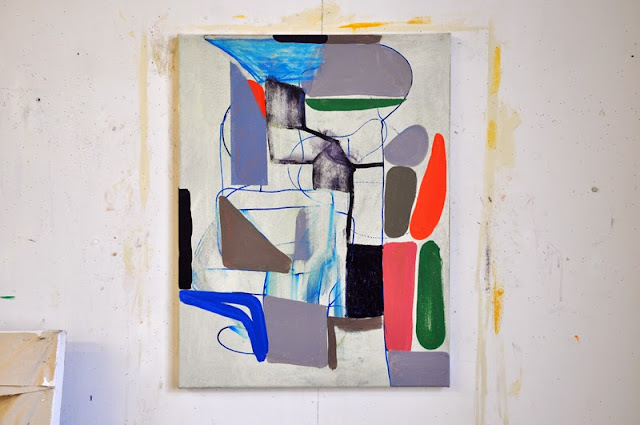 At the moment I am pursuing a line of enquiry that goes against how I have set about working before. 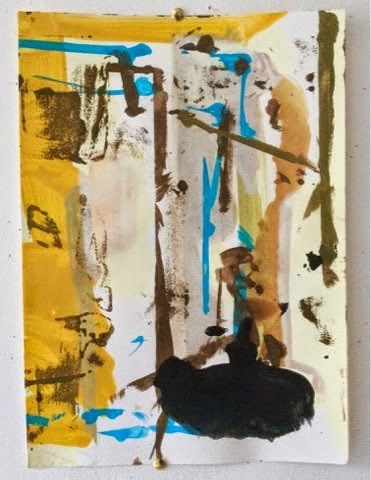 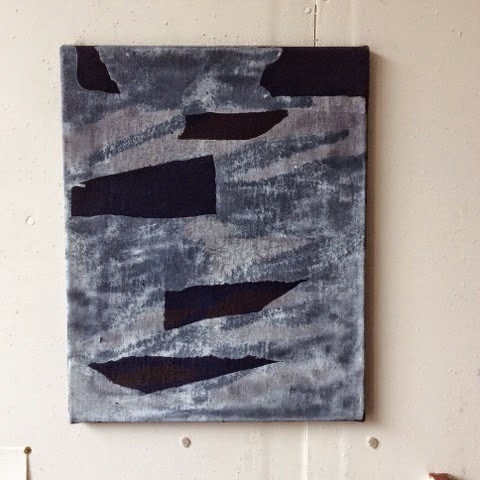 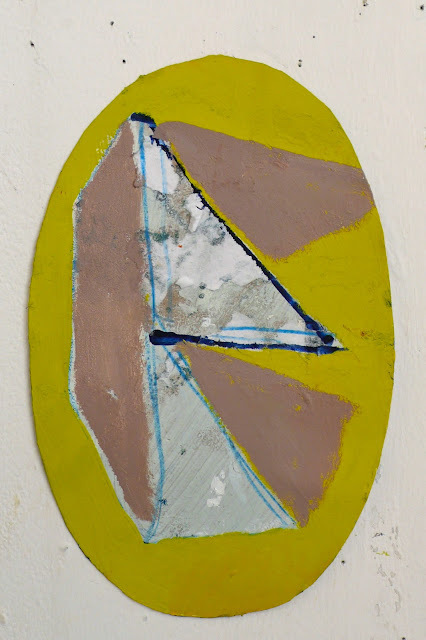 A little dissatisfied with way the canvas “frames” or “windows”, I am becoming more interested in the forms I produce as objects in their own right, bringing them into the immediate environment. 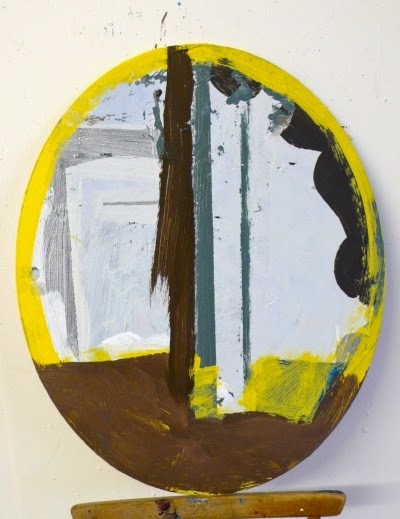 It may be more a sculptor’s sensibility but I still see it as painting.” Vincent Hawkins is involved with painting and drawing; he received a BA in painting from Maidstone College of Art in Kent in England. 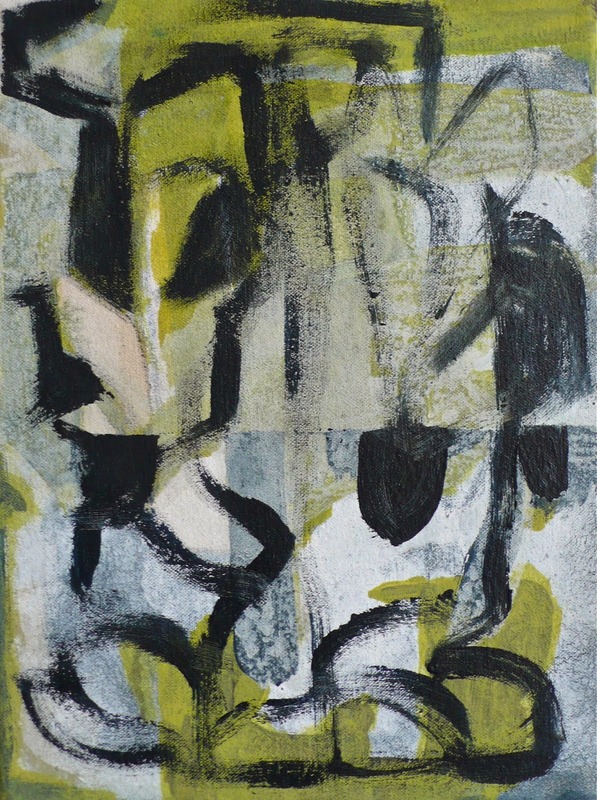 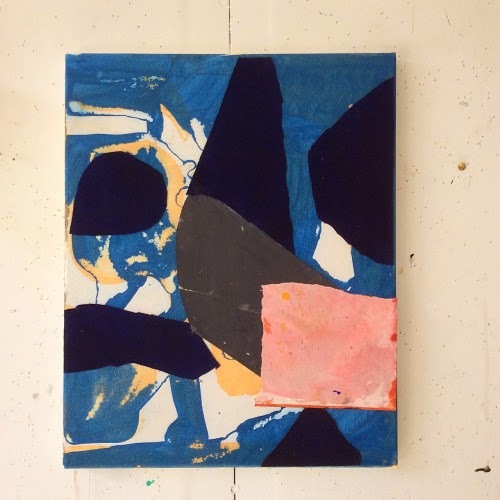 Recent exhibitions include Inshore Fishing, an exhibition dedicated to and including work by the St Ives painter Peter Lanyon at The Rokeby Gallery in London; Theatrical Dynamics at The Torrence Art Museum, CA, curated by David Leapman; finalist in John Moores Painting Prize 2012 as well as winning a prize in the same event in 2006; Layer Cake, Fabio Tiboni in Bologna; Abstrunkt at Winona State University; The Chameleon’s Eye at Centrum, Berlin; ATN Bushwick Open Studios Bushwick, Brooklyn, NY; Moveable Feast, Paris, curated by Erin Lawlor; Five Galerie 1/5, Toulon, curated by Yifat Gat; A Sort Of Night Of The Mind, Herbert Reed Gallery; and Artary Gallery, Stuttgart. 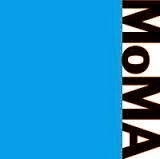 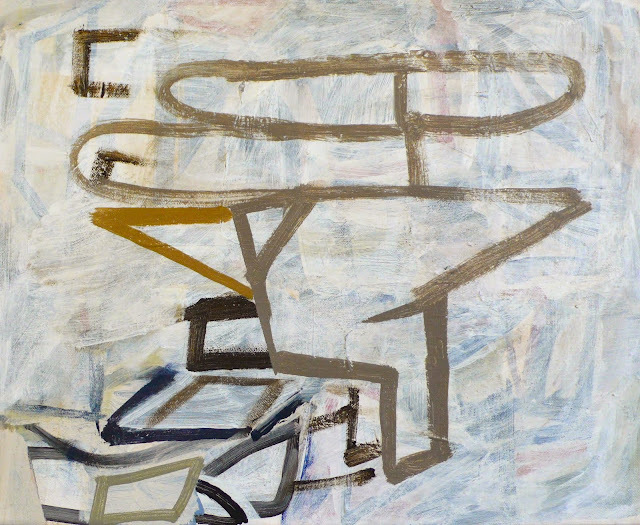 In 2008, he showed with Tracey Emin’s Curated Room at The Royal Academy Summer Exhibition. 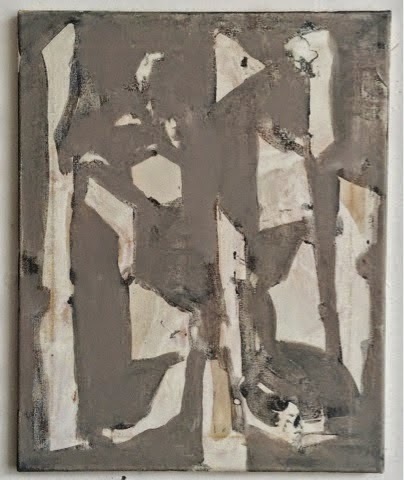 He also showed work in Invisible Cities at The Jerwood Space London and was a finalist in the Jerwood Painting Prize in 2006. 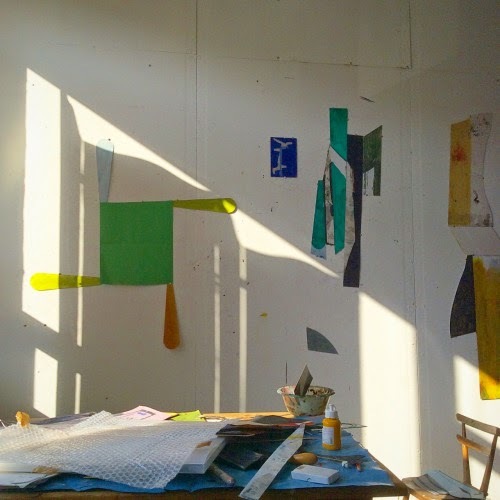 Vincent Hawkins in his studio from Abstract Critical on Vimeo. 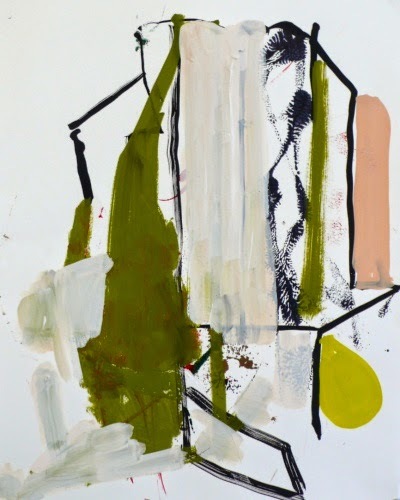 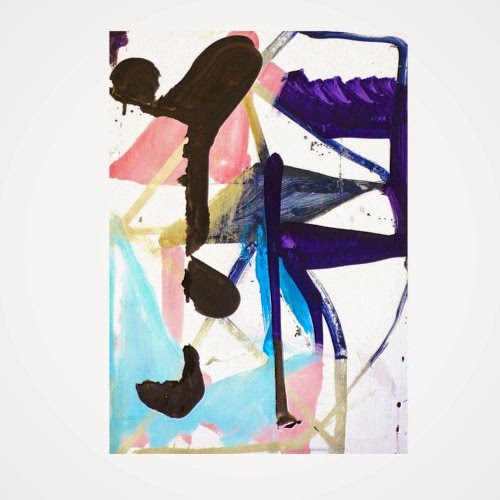 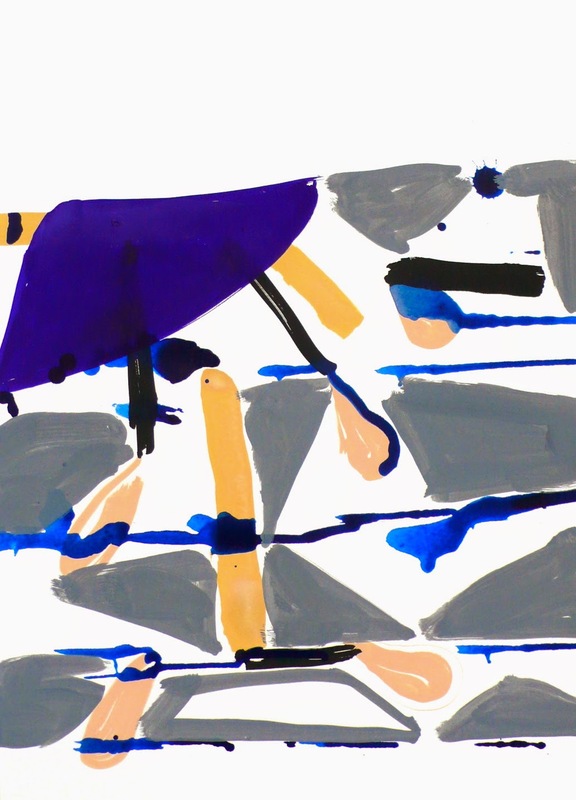 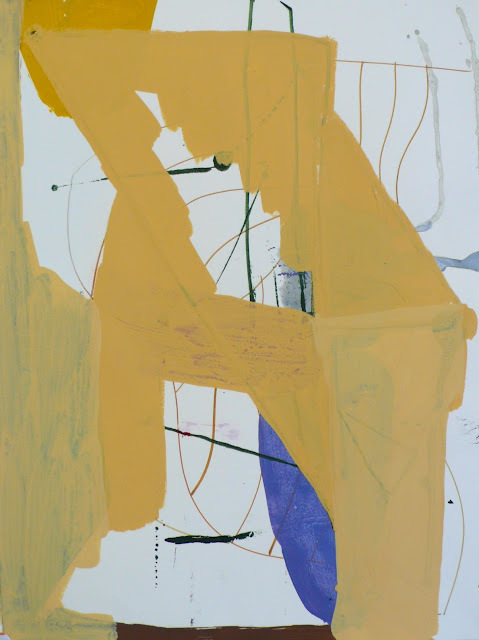 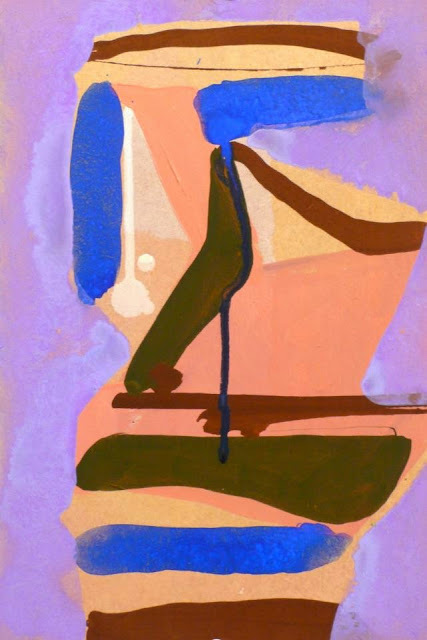 Working in acrylic on canvas, cardboard, and paper, painter and draughtsman Vincent Hawkins creates rhythmic compositions of lightly colored abstract forms. 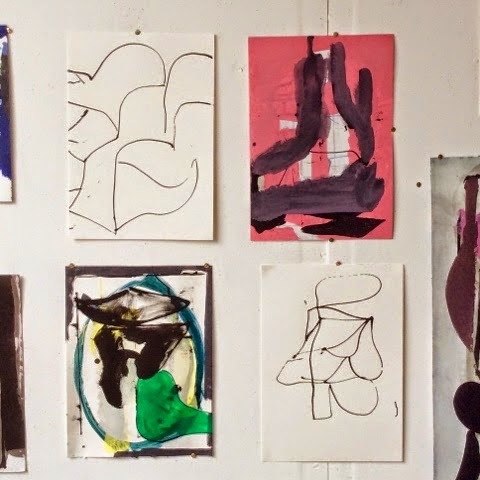 “Play is part of the process, it’s where you discover through a kind of excavation,” he says. 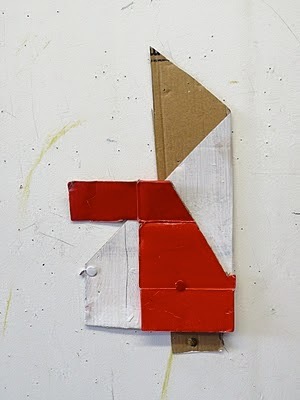 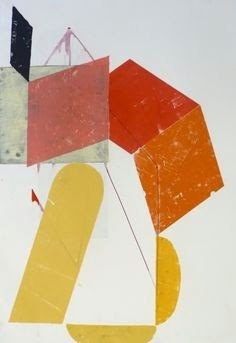 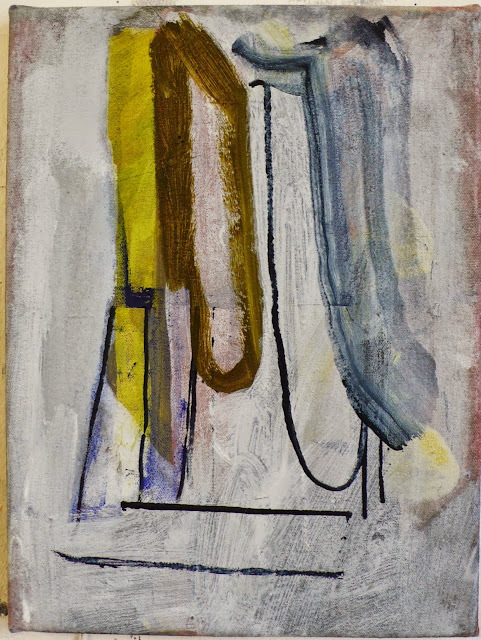 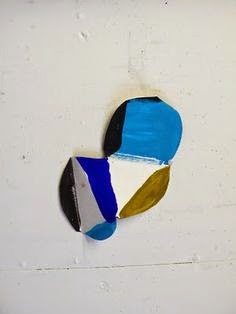 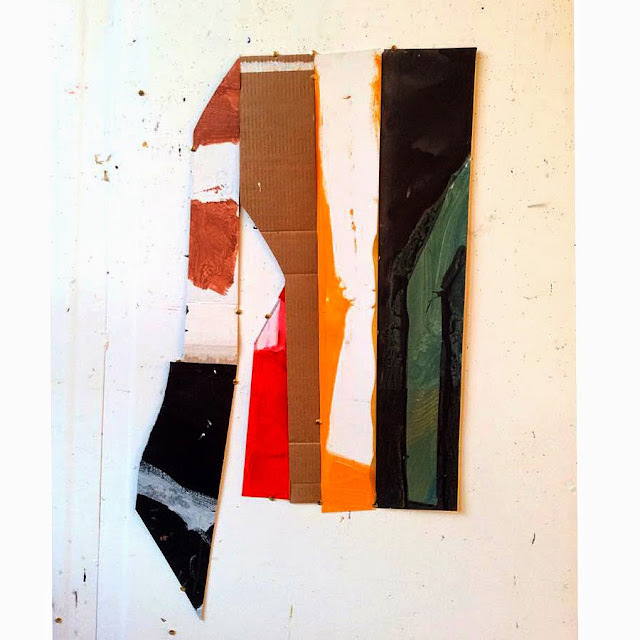 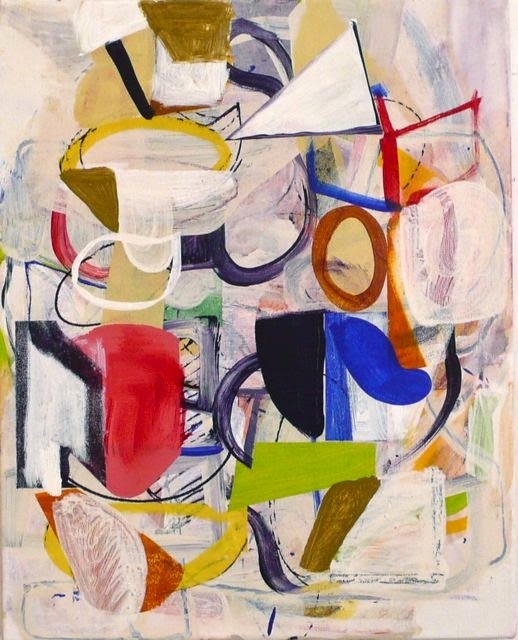 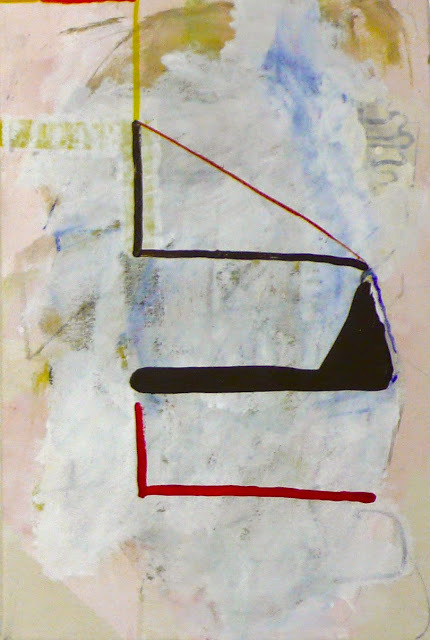 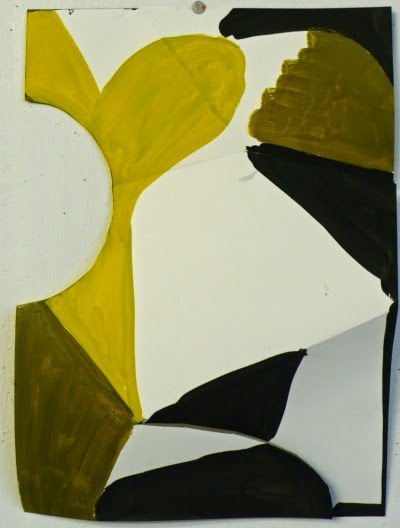 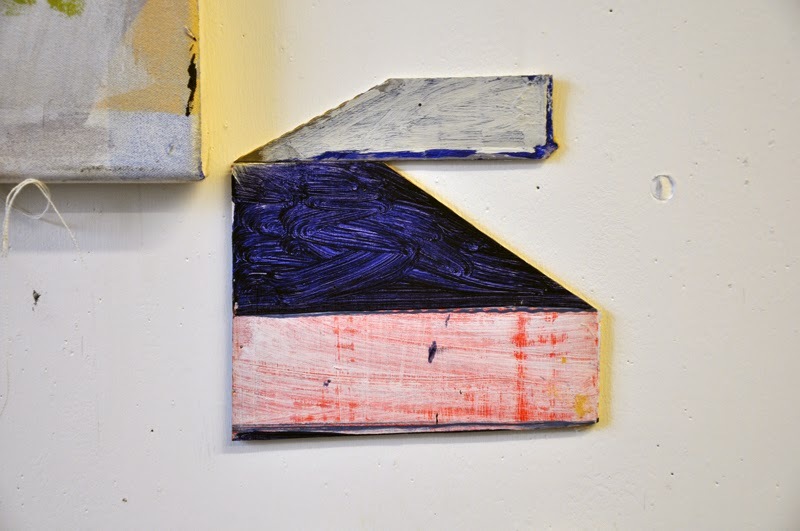 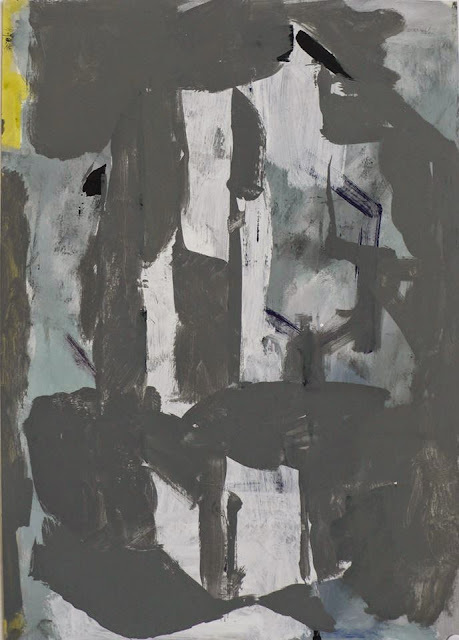 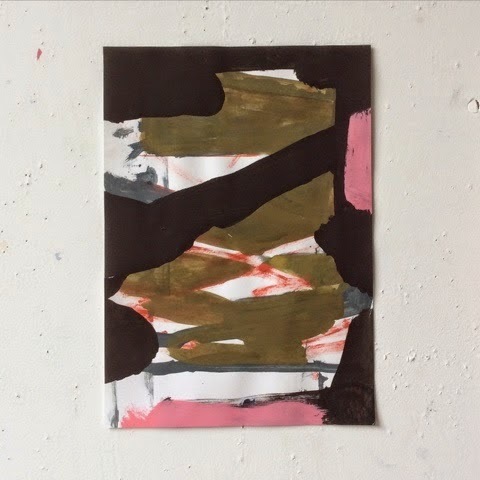 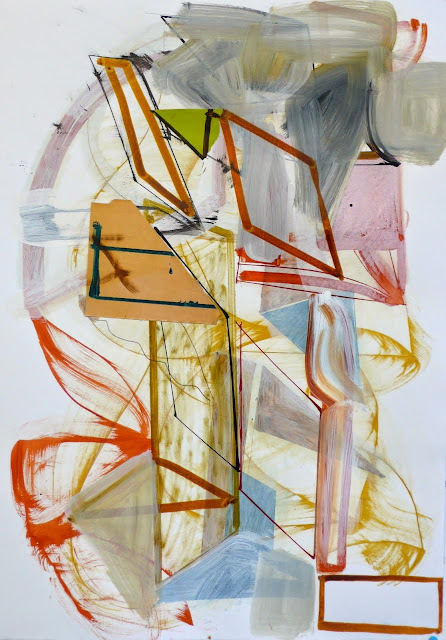 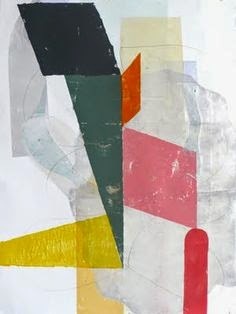 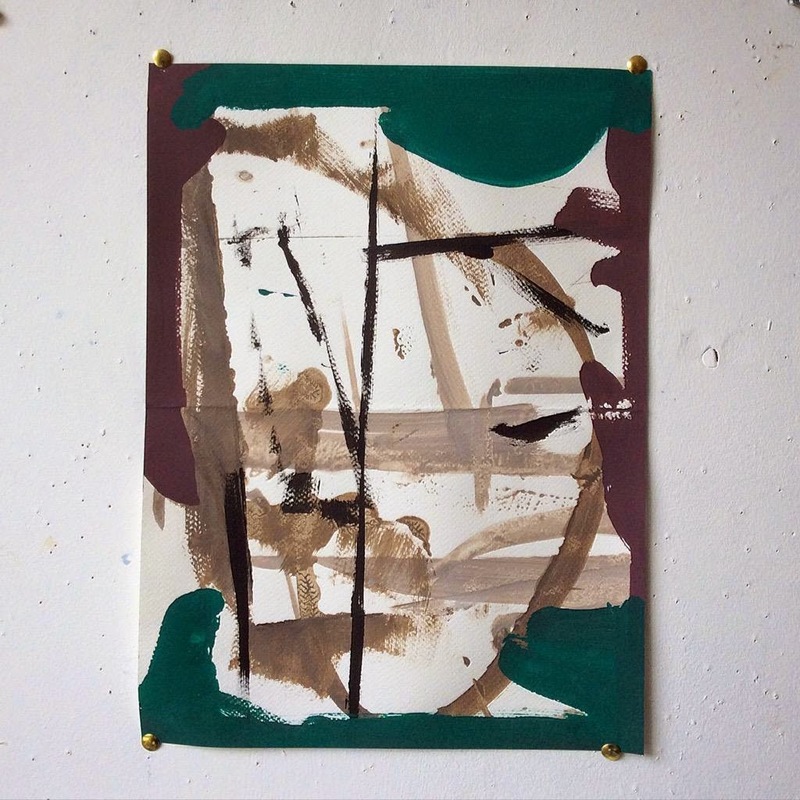 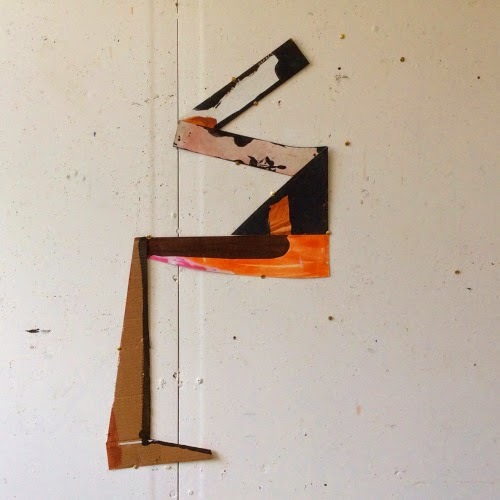 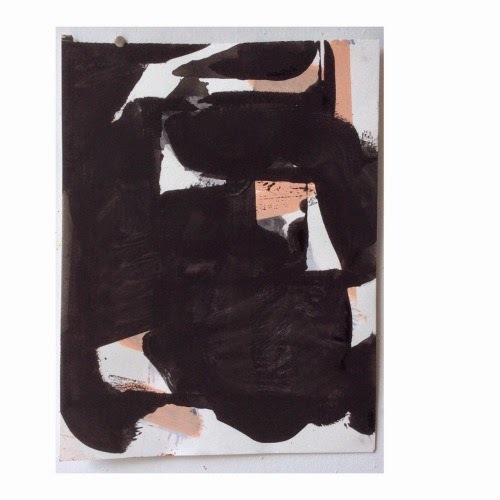 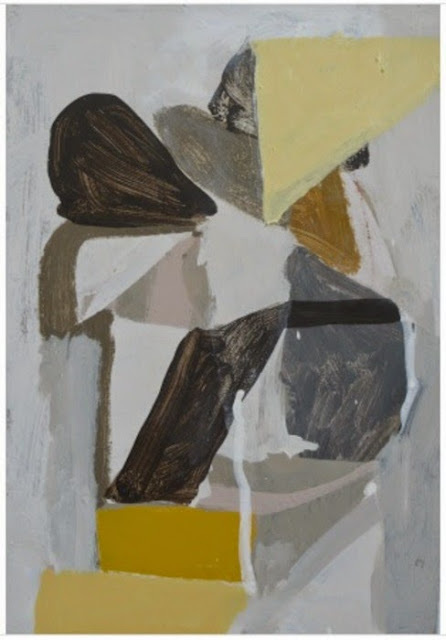 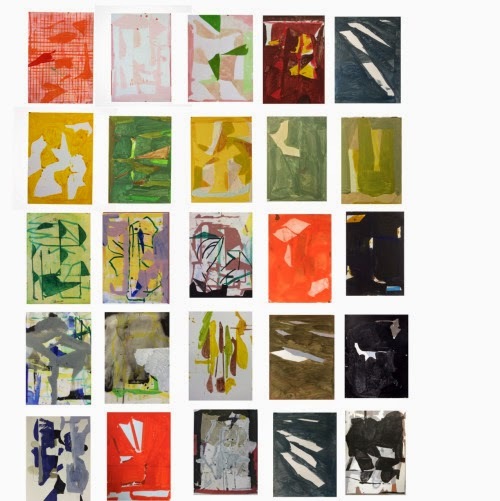 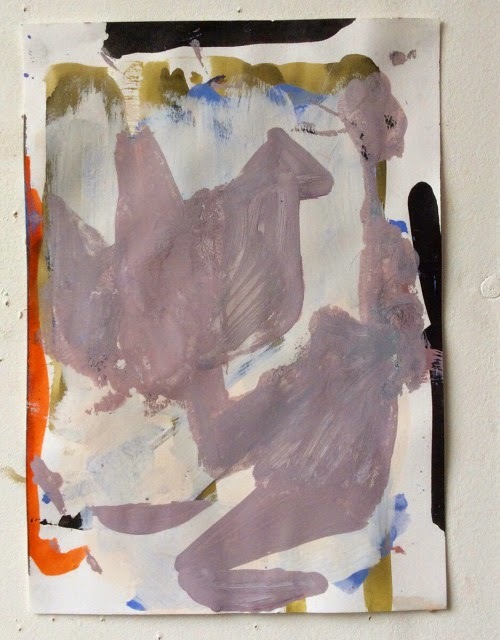 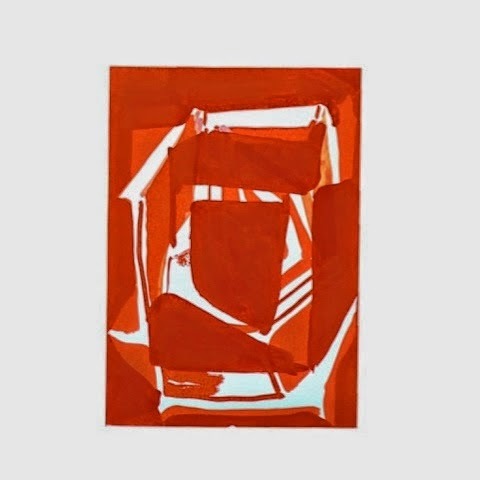 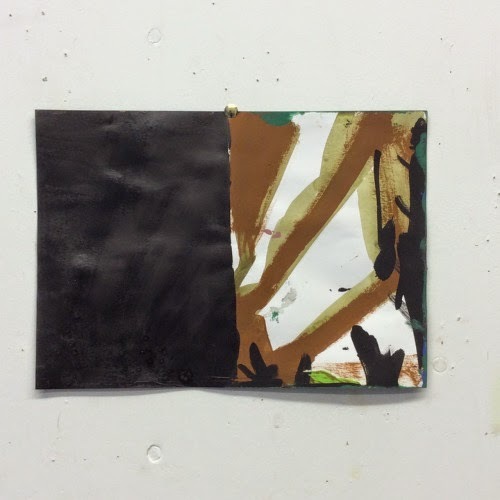 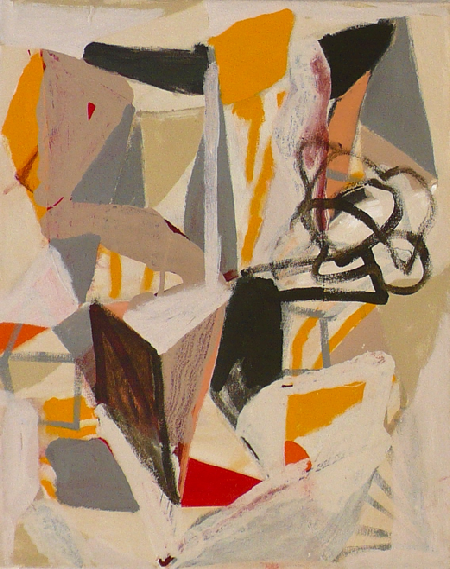 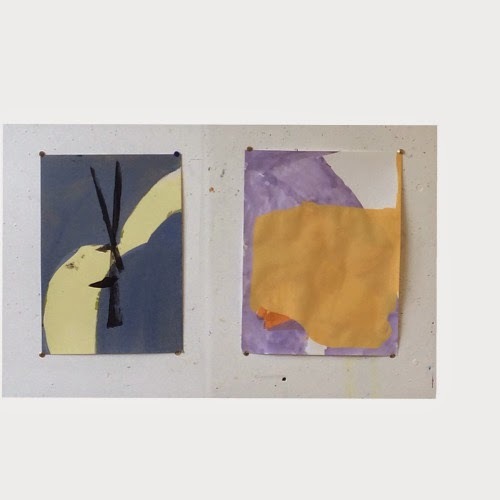 “I move the forms around and reconfigure them, if needed.” Hawkins cites Richard Diebenkorn, Pablo Picasso, Paul Nash, and Kurt Schwitters as influences; the latter is particularly evident in Hawkins’ recent work, in which he liberates forms from the strictures of the picture plane, painting onto cutout pieces of cardboard and oval sheets of paper. 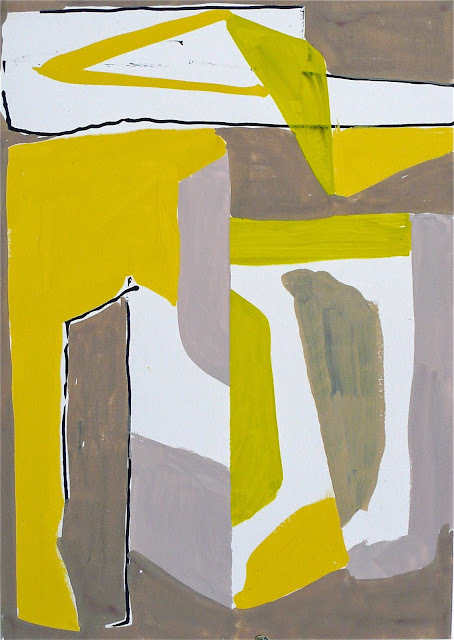 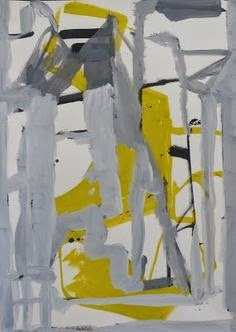 Hawkins’ paintings have drawn comparisons with those of Henri Matisse and Paul Klee.